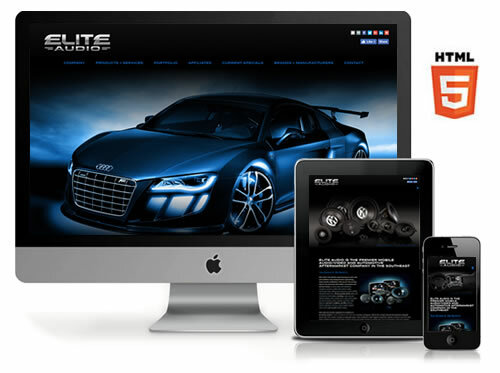 For more than two decades, Elite Audio has been the Upstate's premier automotive aftermarket shop with products and services including car stereo sales and installation, navigation systems, mobile video, marine audio, motorcycle audio, styling and accessories, custom wheels and performance tires. Elite Audio also provides vehicle safety and convenience technologies, including mobile security systems, keyless entry, remote start, cruise control, back-up camera systems, power windows and locks, radar detectors and more. In addition, the company offers premium interior upholstery services, custom leather, heated seats, accent lighting and window tinting. Elite Audio sells and services the leading audio brands in the industry, including Alpine, Arc Audio, AudioControl, Custom Autosound, JL Audio, JVC, Kenwood, Memphis Car Audio, Sony Mobile, Stinger, and Oracle Lighting. For the ultimate in custom automotive wheels, Elite Audio offers Asanti, Beyern, Black Rhino, Diablo, DUB, Enkei, Fuel, HRE, Klutch, Lexani, Mandrus, Moto Metal, Niche, RBP, Rohana, Rotiform, Savini, Spec1, Stance, TSW, Vertini, Volk, Vossen, Work and XD Wheels. And Elite Audio also provides a variety of performance tires from leading manufacturers such as Atturo, BF Goodrich, Delinte, Falken, Federal Tire, Mastercraft, Michelin, Nankang, Nexen, Nitto, Toyo Tires and Yokohama.